Falling hard and fast for a fictional character can have its complications, but falling hard and fast for a fictional representation of a real life person who lived over two hundred years ago can be even stickier. I mean, what was he really like? Was he as charming as he’s portrayed on the page, or was he plagued with scandal? And then there’s the whole matter of googling him and finding that nope, the real life dude definitely wasn’t as foxy as you’ve pictured—or as he’s played on TV. 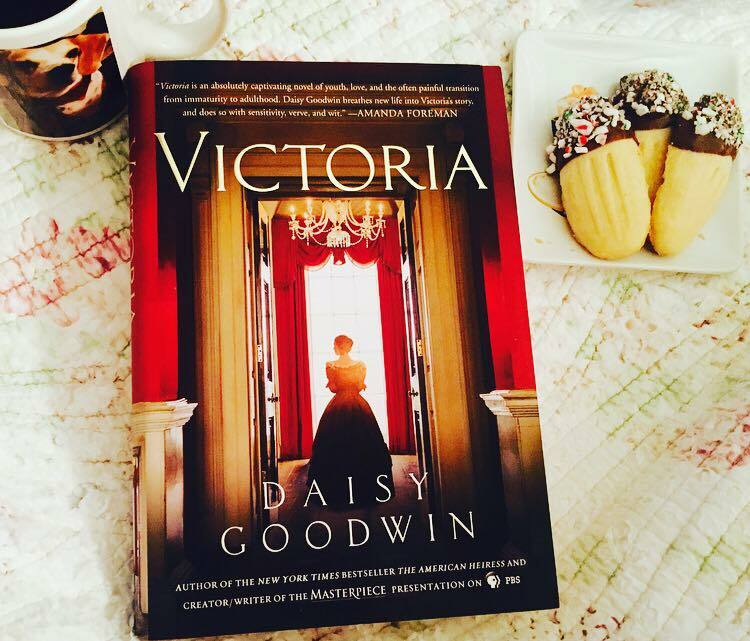 Still, these crushes can’t be helped, and I know I’m not the only reader (or viewer) of Daisy Goodwin’s Victoria who is now a card-carrying member of the Lord Melbourne fan club. I may be sliding this coronation in just under the wire, but if the drug stores can still sell Valentine’s Day candy (75% off, y’all! ), I can still crown the (fictional) Lord M. as our Literary Hunk of February. Where do I begin with Lord M? For starters, he’s loyal. Yes, yes, Victoria’s the queen and all, and as Prime Minister, it’s kind of his duty to be in her service, but he’s just so good to her. He treats her with respect and he guides her without once acting like all of the haters who think she can’t rule a kingdom just because she happens to be an eighteen-year-old girl. He teaches her but lets her find her own voice, and every time he wants to retire and just be sad and lonely at Brocket Hall, he lets her reel him back in because she needs an ally and a friend. And because she’s the Queen of England. The thing about Lord M is that under his composed and reserved demeanor, he has so many feelings. He pines over his dead wife and blames himself for the fact that she cheated on him with the mad, bad, and dangerous to know Lord Byron. He talks about duty and honor and, like a rook, mating for life. He grows orchids, for crying out loud. And let’s not forget that if you want your dance card filled, Lord M is your man. Now, I’m not going to lie. When it comes to Victoria’s heart, I am firmly #TeamAlbert. He’s adorable and he’s age appropriate and he, too, has so many feelings. But Lord M is just so….Lord M-ish, you know? He tells Victoria that when she gives her heart, she will give it fully, and I’ve given mine fully to Lord M.
Especially when played by Rufus Sewell, who captures a thousand layers of emotion and brooding and downright handsomeness. It almost makes me forget what a jerk face he was in The Holiday. And A Knight’s Tale. But that just goes to show what a great actor he is! He can go from handsome and punchable to handsome and lovable. It’s a tough feat to pull off. So whether you want to daydream about Lord M through these last hours of February, March, or the whole year through, join me in raising a cup of tea to the queen’s dashing confidant and trusted advisor. 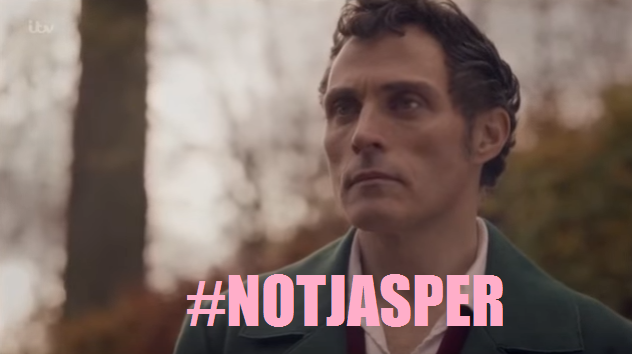 And when Christmas rolls around and it’s time to watch The Holiday again, perhaps we’ll all be a little less apt to want to smack Jasper. Victoria’s season finale airs this Sunday, March 6, on PBS! For more on Daisy Goodwin’s fabulous novel, check out my review, and be sure to visit daisygoodwin.co.uk! If you love Lord M, I really can’t recommend David Cecil’s biography, “Melbourne” enough. Oh, thank you so much for the recommendation! I will check it out! !